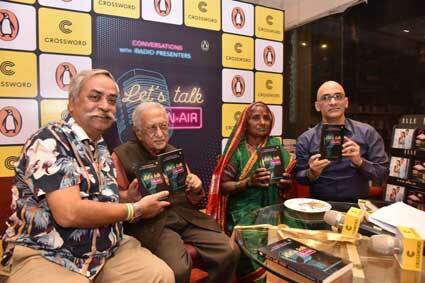 New Delhi: As the world celebrated World Radio Day, Crossword Bookstores and Penguin Random House India launched Rakesh Anand Bakshi’s new book, Let’s Talk On-Air, at Crossword Bookstores, Kemps Corner. The book was officially unveiled by Padma Shri Piyush Pandey and the esteemed radio announcer Ameen Sayani. 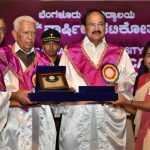 The United Nations declared the theme of ‘Dialogue, Tolerance and Peace’ this World Radio Day, in order to celebrate the impact the radios have made in pursuit of a peaceful and tolerant world. Let’s Talk On-Air chalks out the unique stories of the famous radio presenters, their setbacks, favourite songs, inspirations, moments and principles. Gaurav Srivastav from Radio City 911 FM, Anita Naidu Pawaskar from Radio One 94.3, Apurva Jhadav from Radio City 91.1 FM, Siddharth Mishra from Big 92.7 FM. are some of the RJs mentioned in the book who were also present.